G.R. No. L-23563 May 8, 1969 - CRISTINA SOTTO v. HERNANI MIJARES, ET AL. G.R. No. L-24023 May 8, 1969 - IN RE: PESSUMAL BHROJRAJ v. REPUBLIC OF THE PHIL. G.R. No. L-26982 May 8, 1969 - ROSALINDA MATIAS v. REPUBLIC OF THE PHIL. G.R. No. L-29661 May 13, 1969 - BASILIO M. PINEDA v. JOVITO O. CLAUDIO, ET AL. G.R. No. L-26700 May 15, 1969 - MALAYAN INSURANCE CO., INC. v. MANILA PORT SERVICE, ET AL. G.R. No. L-4974-78 May 16, 1969 - PEOPLE OF THE PHIL. v. JOSE LAVA, ET AL. G.R. No. L-23788 May 16, 1969 - UNIVERSAL MOTORS CORPORATION v. DY HIAN TAT, ET AL. G.R. Nos. L-27463, 27503 & 27504 May 16, 1969 - NATIONAL WATERWORKS & SEWERAGE AUTHORITY v. NWSA CONSOLIDATED UNION, ET AL. G.R. No. L-26491 May 20, 1969 - PEOPLE OF THE PHIL. v. PASTOR TAPAC, ET AL. G.R. No. L-18690 May 21, 1969 - RODOLFO V. BAUTISTA v. COURT OF APPEALS, ET AL. G.R. No. 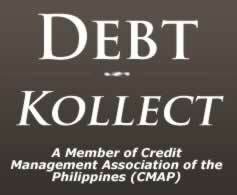 L-19890 May 21, 1969 - SOSTENES CAMPILLO v. PHILIPPINE NATIONAL BANK, ET AL. G.R. No. L-22351 May 21, 1969 - ESTEBAN GARANCIANG, ET AL. v. CATALINO GARANCIANG, ET AL. G.R. No. L-22487 May 21, 1969 - ASUNCION ATILANO, ET AL. v. LADISLAO ATILANO, ET AL. G.R. No. L-22490 May 21, 1969 - GAN TION v. COURT OF APPEALS, ET AL. G.R. No. L-22581 May 21, 1969 - COMMISSIONER OF IMMIGRATION v. JUAN GO TIENG, ET AL. G.R. No. L-23138 May 21, 1969 - ARMANDO LIM v. COURT OF APPEALS, ET AL. G.R. No. L-26241 May 21, 1969 - PEOPLE OF THE PHIL. v. JOSE VICENTE, ET AL. G.R. No. L-26454 May 21, 1969 - BASILIO ASIROT, ET AL. v. DOLORES LIM VDA. DE RODRIGUEZ, ET AL. G.R. No. L-23966 May 22, 1969 - BENJAMIN A. 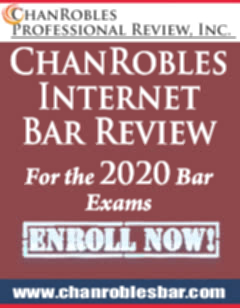 GRAY v. JACOBO S. DE VERA, ET AL. G.R. No. L-24739 May 22, 1969 - ADELA ONGSIACO VDA. DE CLEMEÑA, ET AL. v. AGUSTIN ENGRACIO CLEMEÑA, ET AL. G.R. No. L-25446 May 22, 1969 - AMBROSIO SALUD v. EXECUTIVE SECRETARY TO THE PRESIDENT, ET AL. G.R. No. L-25665 May 22, 1969 - VICTORIAS MILLING CO., INC. v. WORKMEN’S COMPENSATION COMMISSION, ET AL. G.R. No. L-25949 May 22, 1969 - BERNARDO O. SALAZAR v. EMILIANA LIBRES DE CASTRODES, ET AL. G.R. No. L-27907 May 22, 1969 - LA CAMPANA FOOD PRODUCTS, INC., ET AL. v. COURT OF INDUSTRIAL RELATIONS, ET AL. G.R. No. L-23315 May 26, 1969 - DESIDERIO S. RALLON v. PACIFICO RUIZ, JR., ET AL. G.R. No. L-25018 May 26, 1969 - ARSENIO PASCUAL, JR. v. BOARD OF MEDICAL EXAMINERS, ET AL. G.R. No. L-25721 May 26, 1969 - MISAEL VERA, ET AL. v. FRANCISCO ARCA, ET AL. G.R. No. L-23275 May 29, 1969 - VICENTE CARBAJAL, ET AL. v. PONCIANA DIOLOLA, ET AL. G.R. No. 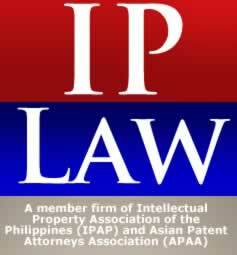 L-26979 May 29, 1969 - INSURANCE COMPANY OF NORTH AMERICA v. REPUBLIC OF THE PHIL. G.R. No. L-27267 May 29, 1969 - PEOPLE OF THE PHIL. v. DIOSDADO DE ATRAS, ET AL. G.R. No. L-20571 May 30, 1969 - CARMEN YTURRALDE, ET AL. v. MARIANO VAGILIDAD, ET AL. G.R. No. L-22158 May 30, 1969 - NENITA YTURRALDE v. RAYMUNDO AZURIN, ET AL. G.R. No. L-24819 May 30, 1969 - ANDRES PASCUAL v. PEDRO DE LA CRUZ, ET AL. G.R. No. L-27234 May 30, 1969 - LEONORA T. ROXAS v. PEDRO DINGLASAN, ET AL. G.R. No. L-27692 May 30, 1969 - NATIONAL DEVELOPMENT COMPANY v. WORKMEN’S COMPENSATION COMMISSION, ET AL. G.R. No. L-25815 May 31, 1969 - PEOPLE OF THE PHIL. v. RAMON GOMEZ, ET AL.